Looking for expert Nooksack heating services? Contact the skilled professionals at Eagle Plumbing & Heating at (360) 318-9999. Click here to save on several of our valued services. The professionals at Eagle Plumbing & Heating provide expert heating system installation, repair, and maintenance services to the residents of Nooksack and the surrounding areas. Our personable professionals know how important an efficient heating system is to establishing a comfortable interior climate during the winter, which is why we encourage our customers to have their units inspected before the cold weather arrives. We also offer around-the-clock emergency service in the event of a more serious problem. If you are having an issue with your heater or furnace it is important to have it taken care of as soon as possible to ensure the safety of you and your family. A malfunctioning furnace can potentially catch fire or even explode if not repaired in a timely fashion by one of our specialists. For questions or concerns regarding your heating system, get in touch with our knowledgeable professionals today. 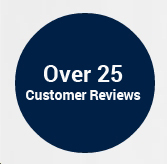 To see what your neighbors are saying about our outstanding services, click here. What are some signs that your heater needs repair or replacement services? Older heaters are not nearly as efficient as newer systems. If warm air is not circulating properly throughout your home, this may be caused by a defective thermostat, which will likely need to be replaced. Improper wiring or damaged connectors can also render your heater inoperable, so it is important to contact the certified professionals at Eagle Plumbing & Heating at the first sign of an issue. If your heater begins to make strange noises when running it could be due to worn components that need to be lubricated or possibly replaced. Failure to have a heater repaired in a timely fashion can be very dangerous, as old parts will create sparks that can potentially start a fire. If an aging heater begins to require more frequent repairs, it is far more cost-effective to have a new unit installed. A new heater will additionally help you to save money on your monthly utility bills. What are the benefits of installing a gas log fireplace? Many of our customers want the experience of relaxing in front of a crackling fire on a cold night, but are worried about the dangers associated with traditional systems. A fantastic alternative to a traditional unit is a gas log fireplace, which can easily be turned off and on with a simple switch or remote. After installing a gas log fireplace homeowners will no longer have to carry heavy logs to a storage area or deal with splinters and insects that hide within the wood. It can take quite a while to build and maintain a traditional fire, but with a gas log fireplace you will be enjoying a comfortable interior climate within seconds. Traditional systems create sparks that can damage carpets or furniture and may even result in a fire, making gas log units much safer for your home. Additionally, gas log fireplaces are much easier to maintain, as subsequent chores, like cleaning up ash and sweeping the chimney are no longer necessary. Regularly scheduled maintenance visits and timely repairs from the licensed professional at Eagle Plumbing & Heating will help to ensure that your furnace continues to function efficiently for years to come. We advise our customers in and around Nooksack to arrange an annual inspection before the cold weather arrives in order to guarantee a comfortable interior climate throughout the winter. Our knowledgeable heating professionals can expertly service all makes and models and determine whether any repairs are needed. We can also inspect your ductwork and clear out any excess debris to allow for a steady flow of heated air. If your home is not properly ventilated it can lead to significantly higher fuel bills and a potential buildup of dangerous gases. In order to make sure that your furnace is operating safely our professionals will thoroughly clean your unit, lubricate all of its components, change your filters, and repair or replace any damaged parts. For specialized heating services in your area, contact the trusted professionals at Eagle Plumbing & Heating. Call us today at (360) 318-9999.